You’ve no doubt heard about El Niño this year and the predictions of all the so called “weather experts”. Well, the truth is, we can never fully know what Mother Nature will bring us each year. Sure, we make the most educated guess possible, but it’s still just that – a guess. So don’t let the doomsday sayers intimidate you into believing you’ll be lucky to escape winter alive this year. Halloween may be coming, but there’s no reason to be spooked by winter too. Certainly, it’s good to be prepared and keep some important items on hand for those times when you can’t make it to the store for a day or two, but chances are that winter will come and go, and spring will greet you with a smile – just like it did last year, and the year before. But how you choose to deal with winter is up to you. 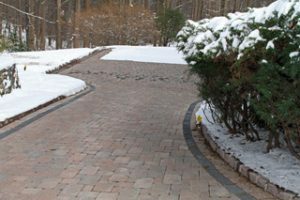 For homeowners with steep driveways or business owners with outdoor steps, ramps and busy customer access points, installing a heated driveway or snow melting system is a pretty obvious solution. 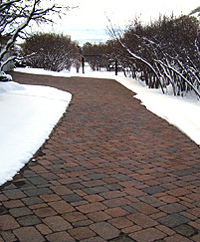 Radiant snow melting systems are fully automated and operate only when needed. 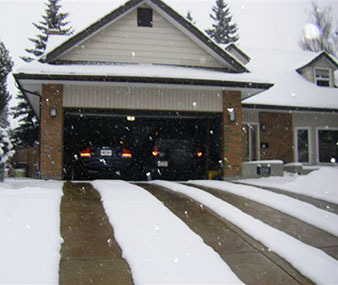 That means that regardless what day or time the snow falls, the systems will respond to keep your driveway or walks clear of ice and snow during all of winter’s cold assaults. Many consumers have opted to forego stocking up on salt and other snow melting chemicals prior to winter. Some have even been swayed not only by the convenience and effectiveness of radiant heat, but because of the added benefit to the environment. Salt and snow melting chemicals, while somewhat convenient in melting snow, are not so friendly on the surrounding landscape. The adverse environmental effects of salt and snowmelt chemicals leave scars year round. 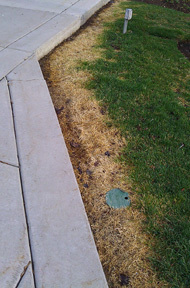 When spring arrives, the bordering grass and shrubs often reveal the ugly scars from the repeated use of snow melting chemicals during the winter. 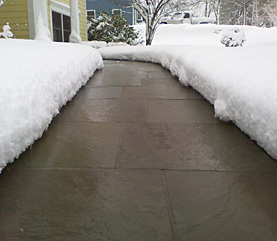 But the greatest advantages of radiant snow melting systems are their convenience, clean, silent operation and round-the-clock reliability. 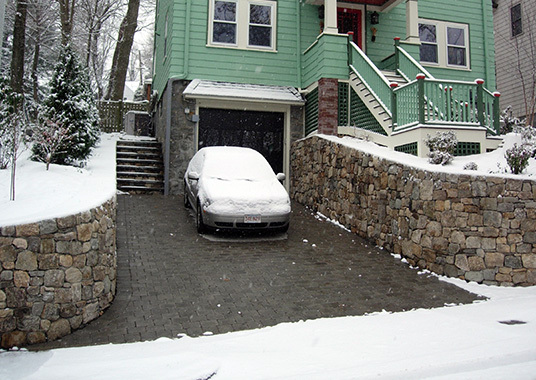 And electric snow melting systems are maintenance free, saving your back from shoveling and your head from aching. 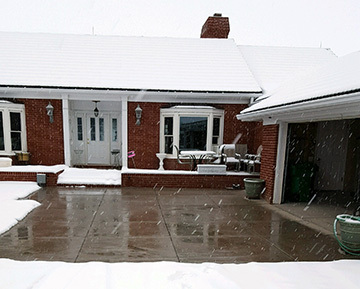 Warmzone radiant snow melting systems are easy to customize and install. 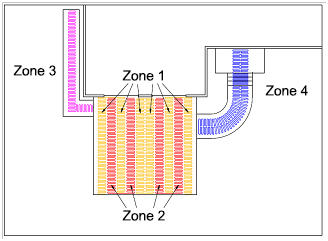 In addition to offering the industry’s most reputable heat cable and system components, Warmzone also includes professional system design and installation support services. 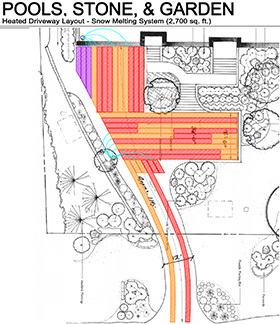 When you work with Warmzone, you are partnering with experienced professionals who see your project through – from start to end. After all, radiant heat is a considerable investment in your home, so it makes sense to deal with the best, most trusted experts in the field. Avoid These Common Installation Mistakes! 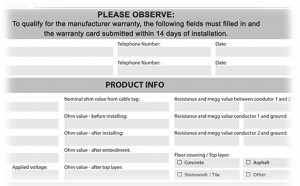 Record Resistance Values in Warranty Card – First and foremost, keep your warranty valid by following the installation instructions and using a megohmmeter to measure the cable readings before, during and after the installation process as outlined. (The megohmmeter is a special type of ohmmeter used to measure the electrical resistance of insulators.) Measuring the cable’s ohm reading during the installation process provides the required warranty information and can reveal if any cable has been damaged during the install. ► Upon receiving the heat cable, check the ohm value shown on the cable tag. Write this figure in the space provided on the warranty card. ► Measure the ohm reading of the cable and record the results in the space provided on the warranty card. 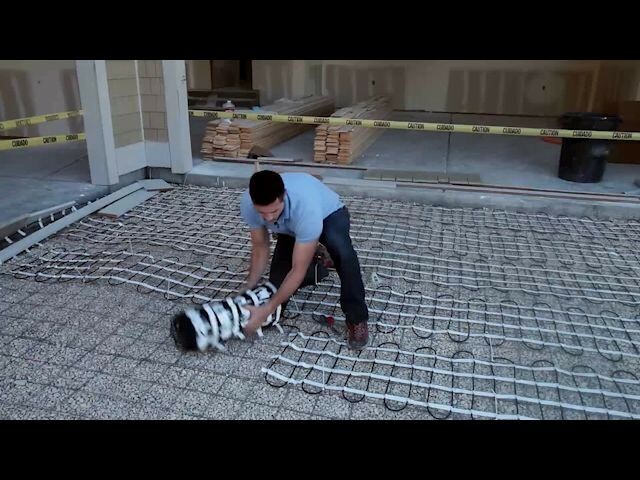 ► Lay the cable out and secure it so that it is ready to be embedded (under concrete, asphalt or pavers). Measure the cable’s ohm reading prior to being embedded. Record this value in the space provided on the warranty card. ► Apply the top layer and measure the ohm reading. Record the results in the space provided on the warranty card. ► Never allow the cables to cross or touch each other. ► Never cut the heating cable. ► Do not flex or strain the cable splice by pulling on the cable. All of the cable must be embedded, including the entire splice and 6-inches of cold lead. ► Avoid kinking or bending the cable sharply (which causes the insulation to “bubble” and pull away from the cable). Warranty card for snow melting system. Do not hesitate to take advantage of Warmzone’s personal installation support services. We have dedicated experts on hand to assist installers, so if you have any questions during the installation process, our electricians and designers are happy to assist you. Warmzone also offers free installation training, both in-house as well as training via web seminar. It is our goal to ensure that our customers are happy and that each system is installed correctly and performing as intended. ComfortTile, In-Slab, HeatShield, FloorHeat, RetroHeat and FilmHeat all share several commonalities. They’re not just radiant heated floors, they’re industry leading floor heating systems offering the fit, flexibility and quality along with a solid reputation for well outperforming the rest of the industry’s competition. ComfortTile is well-suited to heating tile floors. Available by the spool or preconfigured mats, at 3/16-inch it’s so thin there is very little floor build up. 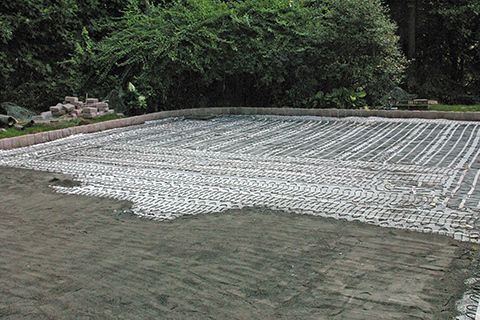 In-Slab heat cable for concrete slabs is rugged enough for installation in new concrete slab applications to heat tile, hardwood and even carpet. 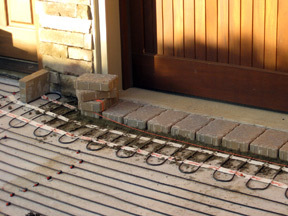 FloorHeat is a unique self-regulating, semi-conductive polyethylene heating element that can be installed directly under any material, ranging from hardwood floors to roofing. HeatShield Panels feature ½-inch-thick polystyrene insulation covered with a thin, specially profiled aluminum with grooves for the heat cable to optimize heat cable performance by reflecting the heat upwards to the floor. RetroHeat uses a thin film heating element that is installed (stapled up) between the floor joists. Bat insulation is then stapled up over the heating element to help direct heat upwards towards the floor to heat virtually all types of floor surfaces. You can pair these options with Warmzone’s advanced, fully interactive thermostat with touch technology and energy monitoring for radiant heating. The innovative controller features a display that allows you to view a graph of your recorded energy consumption with actual costs. This advanced energy monitoring feature tells you exactly what you are paying for your radiant floor heating system, and helps you save money by periodically recommending ideal temperature adjustments. So you can monitor your consumption as you go, making adjustments by adding rooms to changing traffic patterns from room to room. Besides these great products, there are numerous benefits to radiant heat. 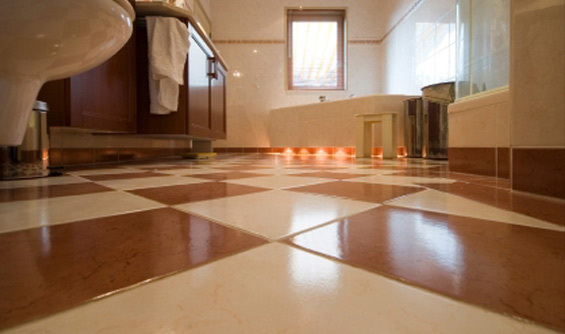 The biggest one, of course, is the precise nature of radiant heated floors. Unlike traditional forced air systems, you can set the desired temperature in each room or zone, making radiant floor heating extremely energy efficient. Also obvious, the health benefits that come with radiant heated floors. They don’t blow dust and allergens from vents through your home. Reliable, maintenance free radiant heated floors can be installed discreetly and easily under a variety of surfaces. And they can be easily customized to heat hard to reach areas efficiently, whether a small isolated area or your entire home. Of course there’s more. Check out how Warmzone’s great radiant heat products, including the all new fully interactive thermostat, can warm up your home more efficiently. 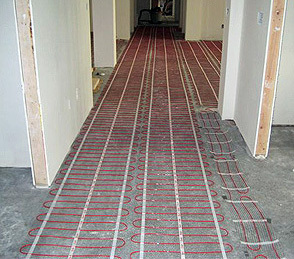 Call 888.488.9276 to explore the options of installing radiant heat in your home. Every time I walked across my cold kitchen floor, I reminded myself to check into the possibilities of radiant heat. I kept hearing wonderful things about how affordable and comfortable radiant heated floors are, but I’m a procrastinator. I was content to search for my slippers or brave the chill of the kitchen linoleum and tiled bathroom floors for one more winter. Unfortunately, the decision to install (or not to install) radiant heat is not mine to make alone. I’m married. Now most of us guys like to pretend that we can endure a little discomfort and survive with the bare minimum in terms of home amenities, but a part of us would also like our homes to feel like a luxurious castle. And let’s face it; we want to keep our wives happy! But it didn’t take long to find some unbiased information online. I did a few searches on the Internet and found some good information, which I read. Soon, I narrowed down a list of top radiant heat providers, and I finally ended up dealing with a company called Warmzone. Three things stuck out for me that helped me make my decision. Warmzone’s wide product selection, their customer service and installation support were big selling points for me. The intimidation of taking on such a home improvement project was daunting, but the anxiety quickly subsided after talking with them. I wanted to leave the design and all the technical stuff in the hands of experts. I was assured that I could do much of the heat cable installation, but experts would take care of the wiring and other technical aspects. (I sure wasn’t about to take on the whole project by myself.) I felt confident with the installers and the Warmzone team. They’ve been around a long time, and I knew they wouldn’t leave until my system was up and running as advertised. After receiving a detailed CAD design of my floors from Warmzone, I learned exactly what to expect from the system and what the power requirements would be. Then, as the installation process began, a support technician from Warmzone was on the phone, helping us every step of the way. He took his time explaining things and made sure that the installation was done properly. Warmzone personnel even stayed with us as we tested the system to make sure we were completely satisfied. Now that was “old school” customer service. Having them provide us with the most trusted system, customized for our needs, and then assisting us every step of the way after the sale was reassuring. They stayed with us from beginning to end. 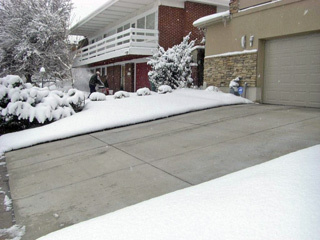 Erik G. – a happy radiant heat customer. Call Warmzone at 888.488.9276 or visit www.warmzone.com for more in-depth information and professional consulting, all free of charge, of course!